What happens when you join together professional artists and Japan's beloved cat-like robot from the future? 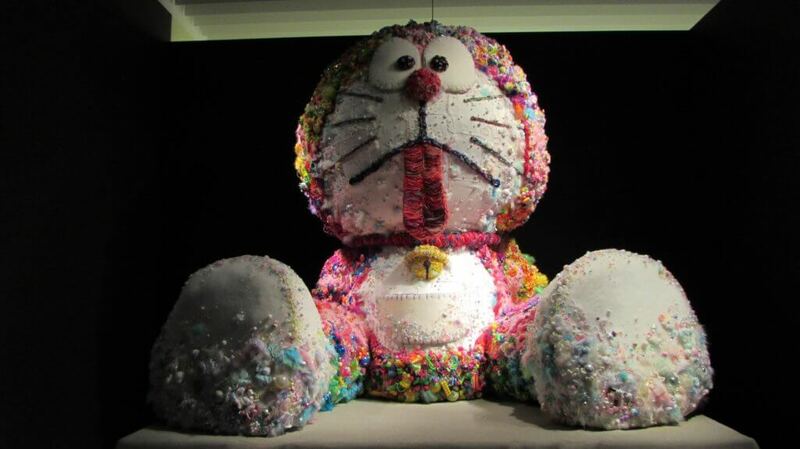 Answer: The Doraemon Exhibition. Back in December, I headed to Tokyo to return home for winter vacation. 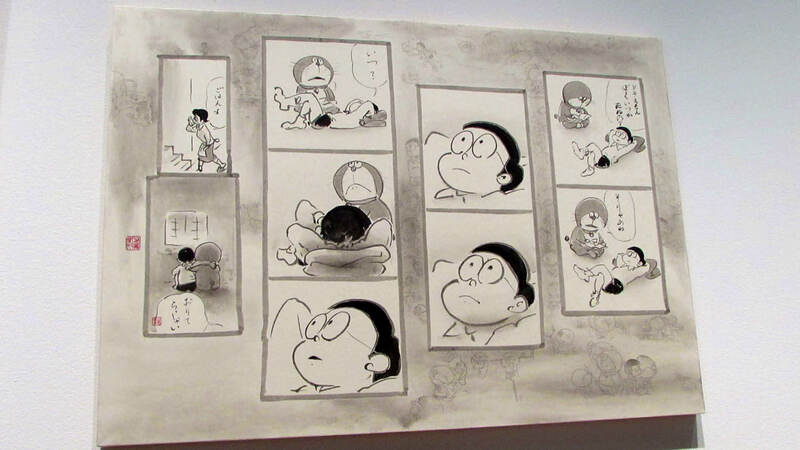 While there, I decided to check out the Doraemon exhibition, known as ドラえもん展 (doraemon ten) in Japanese. 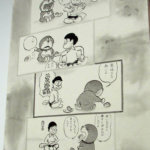 For the exhibition, different artists took on the task of recreating the world of Doraemon in their own style, as well as expressing what Doraemon means to them. 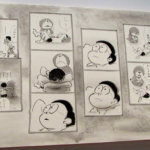 What happened when professional artists entered Doraemon’s world? 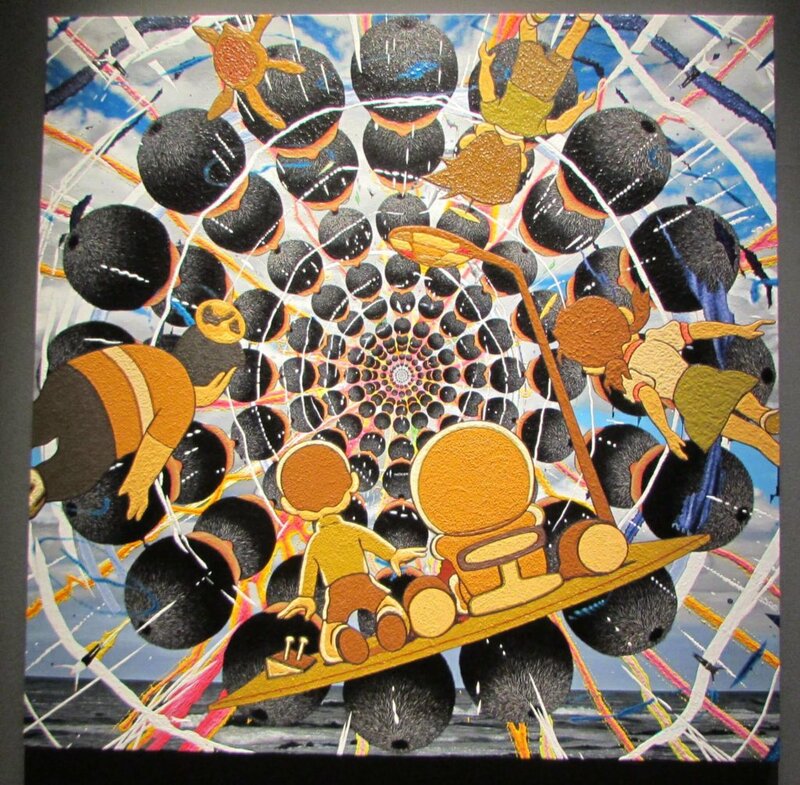 Keep scrolling to not only check out some of their art, but hear what they had to say about Doraemon and the work they created, too. Note: the following information comes from the exhibition’s display placards. Some text has been changed for the sake of clarity (i.e., typos, grammatical mistakes, etc.). 2017. Acrylic, gold leaf, and platinum leaf on canvas mounted on an aluminum frame. 2017. 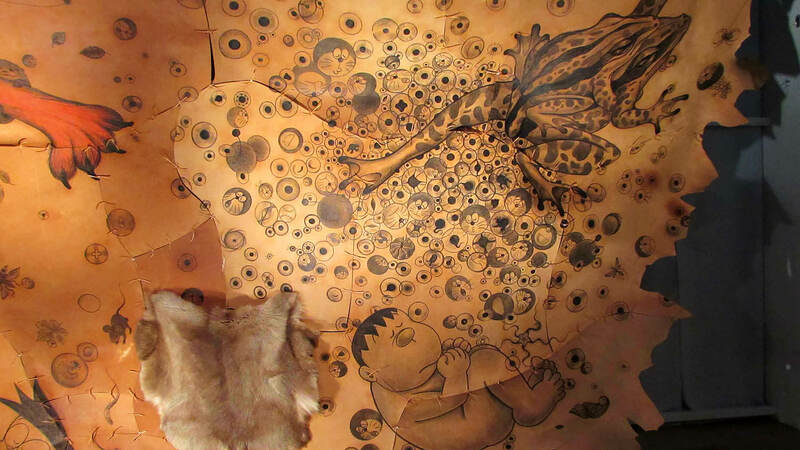 Crayon drawing on leather, fur (4D Pocket). “I decided on a manga-like presentation, so I would be happy for you to read this work as manga. But do please also have a go at looking at it as an image. For example – after reading a certain amount of characters, please next try gazing back on them without reading them – and you may find that slightly different things appear. 2017. Sumi (Japanese ink) and pen on Japanese paper. 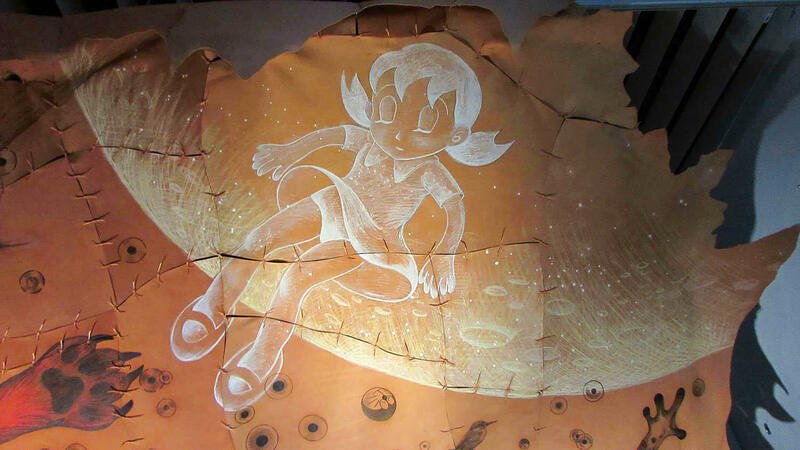 Artwork shown at “THE Doraemon exhibition” in 2002. Dress: cashmere 97%, polyurethane 3%. Bag: polyurethane. Shima Seiki: whole garment, transfer print. 2017. White chalk on blackboard, white ink painting based on aerial perspective with sfumato technique. Based on Doraemon the Movie: The New Nobita’s Great Adventure into the Underworld. 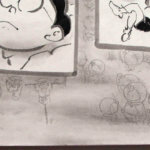 “In the Underworld, Nobita encounters an island with Mermaid Demons and the Whale Demon. In the movie, they’re his enemies, but I wanted to see them all playing around and having fun with one another, so I created a happy parody. 2017. Oil on canvas. Based on Doraemon the Movie: The New Nobita’s Great Adventure into the Underworld. “These are the three animals that Nobita dreams up and brings into existence using Doraemon’s Gadgets: Pega, Guri, and Doraco. 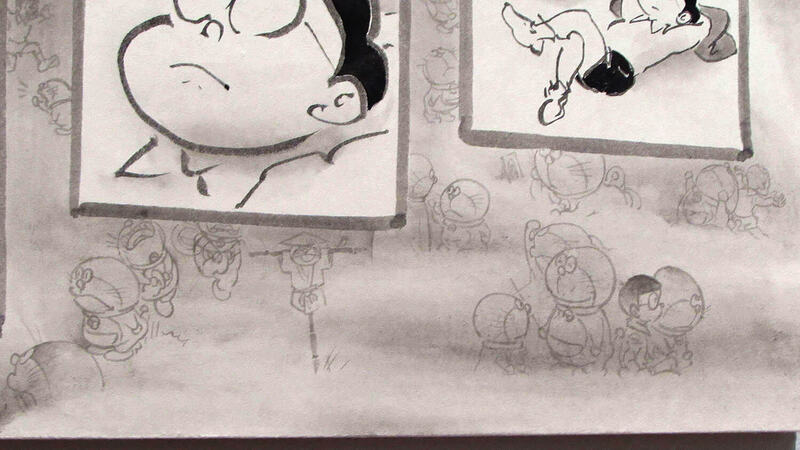 I feel like these three really symbolize the whole Doraemon world, so I took them as my starting point for this work. 2017. 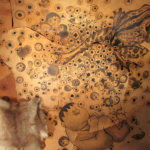 Paint on Camphor wood. Based on Doraemon the Movie: Nobita and the Birth of Japan. 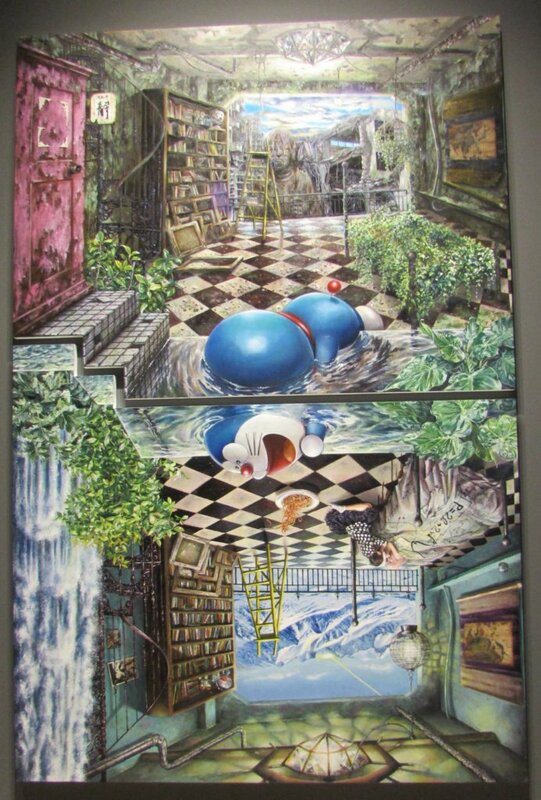 *Note: the exhibition’s translated title for this piece was Chosen a Dream and a Hope. 2017. Acrylic on canvas. Based on Doraemon the Movie: Nobita’s Little Space War. 2017. Acrylic on canvas. Based on Doraemon the Movie: Nobita’s Dinosaur. ときどきりくつにあわないことするのが人間なのよ / Sometimes humans do things that just don’t make sense. 2017. Oil and acrylic on panel. Based on Doraemon the Movie: Nobita and the Steel Troops. “In Doraemon the Movie: Nobita’s Dorabian Nights, the real world has gotten mixed up with the world of fairy tales. That seems a bit to me like how sometimes the things that we see happening on TV or on the internet, seem to be taking place in a world that has no connection with ourselves. And yet, in that case, it’s reality. 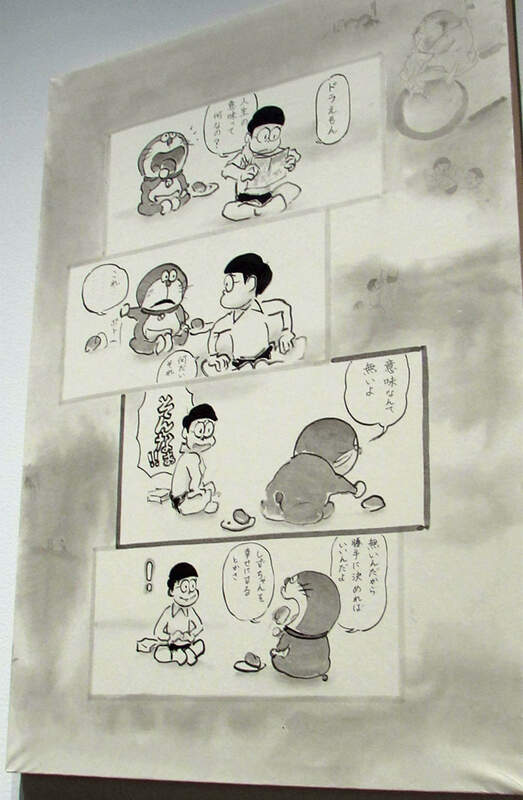 The starting point for this work was the idea that, in this age of ours, a Doraemon toy is suddenly found abandoned, standing in a desert somewhere. “When is this? Is this the past, or present, or future? 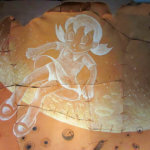 Where is this? Why am I here? Laughs, sadness, joy, suffering. Anger, anger, and more anger. 2017. Wood, cloth, cotton, plastic, yarn. Based on Doraemon the Movie: Nobita’s Dorabian Nights. 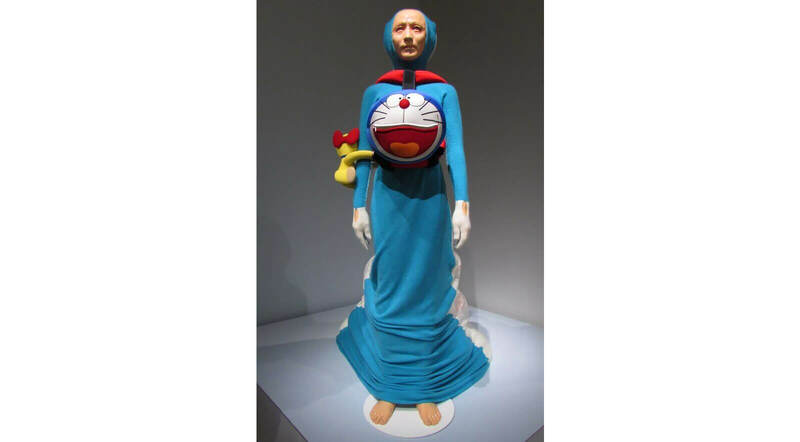 Are you a fan of Doraemon? What did you think of the artwork? How about what the artists had to say? Let us know which ones are your favorites (and why) down in the comment section below!